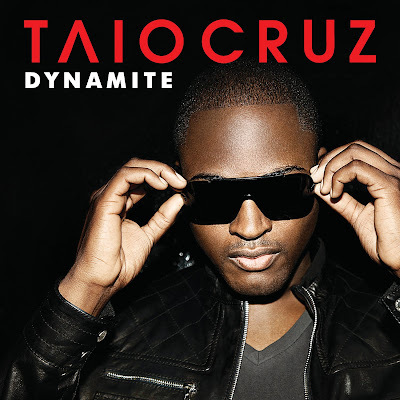 The second official U.S. single off of Taio Cruz's Rokstarr album is apparently "Dynamite," and not the Ke$ha-assisted "Dirty Picture" which is the Brit's current single out in Europe. I'm frankly a little surprised that "Dirty Picture" isn't the next U.S. single, although maybe the label wants to release a single without any guest vocalists/rappers just to showcase Cruz by himself. That makes sense, especially considering "Break Your Heart" had Ludacris thrown on the track for the single's U.S. release. Also, to be fair, "Dynamite" is a new track so who knows. Maybe it's AMAZING. I just hope that "Dirty Picture" is released as a single here at some point. It's a hot song and Ke$ha is kind of exploding right now. "Dynamite" will be released digitally on May 25th, followed by the release of his U.S. album on June 1st. 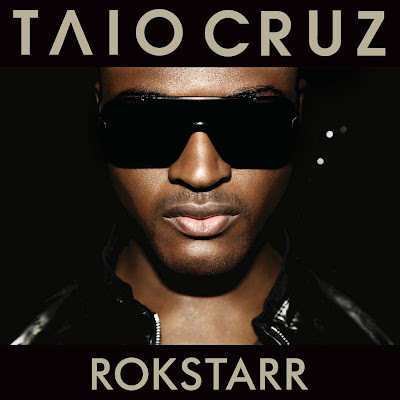 Also, you can check out Taio Cruz on the Regis & Kelly Show on June 3rd. 5. "I'll Never Love Again"
While browsing through new single/album artwork (how exciting does that sound? ), I came across a newish pop group called The Stunners. The Stunners are a 5-piece girl group founded by none other than singer/songwriter/producer Vitamin C. Signing a major record deal with Columbia Records only six months after being founded, the girls made their debut with a contribution on the iCarly Season 1 soundtrack - a cover of Deniece Williams' disco classic "Let's Hear It For The Boy." Next for the group was a promotional single, "Bubblegum" (see the video below) digitally released in March through Columbia/Sony, followed by a self-titled EP in October (which is no longer available). After parting ways with Columbia the girls signed with Universal Republic in early 2010 and are now set to release their debut album later this year. The Stunners are Tinashe Kachingwe, Hayle Kiyokom, Lauren Hudson, Allie Gonino and Marisol Esparza. Their first OFFICIAL official single is called "Dancin' Around The Truth" and it's due out on Tuesday June 1st. The single is a remix of the EP version, featuring assistance from hip hop/jerkin duo New Boyz (currently signed to Asylum Records/Warner Music Group). The single should impact mainstream radio sometime this month. Listen to the remix version on the girls' website and the original version on their MySpace page. Why the interest now in this group? Would you think I was weird if I told you it was Vitamin C? Yeah, I've never really been in her demographic but I happened to love a couple tracks off of her second album More (namely "As Long As You're Loving Me" and "The Itch") and really loved the dance-electro route she went with "Last Nite." I've been craving new Vitamin C music for a while, and while her own new material is SUPPOSEDLY in the works, at least I know she's been busy doing something. In the meantime, see the fruits of her labor when The Stunners open for teen singing sensation Justin Bieber, starting June 23rd. While recent episodes seem to be focusing more on the cheesy story-lines rather than on musical numbers, at least the folks at Glee keep releasing the music from he show for us Gleeks to get our hands on. First, we have Glee: The Music, Volume 1, released last fall, followed by Glee: The Music, Volume 2 in December. More recently, an EP, Glee: The Music, The Power of Madonna was released and even MORE RECENTLY (on Tuesday in fact) Glee: The Music, Volume 3 Showstoppers was released. Well, that's not all! Not only has every song been released on iTunes but we're getting at least one more EP before the season is over. Glee: The Music, Journey To Regionals comes out on CD June 8th. I just wanted to briefly go over some of the songs that I downloaded from iTunes this past Tuesday. First up....new music from Natasha Bedingfield. Wow. This came as a pleasant surprise! We knew that she was working on new material but I didn't expect a release so soon! I also didn't expect something so...dance-pop. I think it's a great song. I love it! I'm still waiting to hear if this is her OFFICIAL first single or if it's a promotional release before the first single drops. Either way, I love this song and it has me realizing just how much I've missed Bedingfield on the radio. On a completely unrelated note...where is Daniel Bedingfield? I wouldn't mind hearing from him again either. **UPDATE** According to a new blog from Bedingfield, "Touch" is NOT a single, but a "fabulous teaser" from the new album. The song was produced by Julian Bunetta. 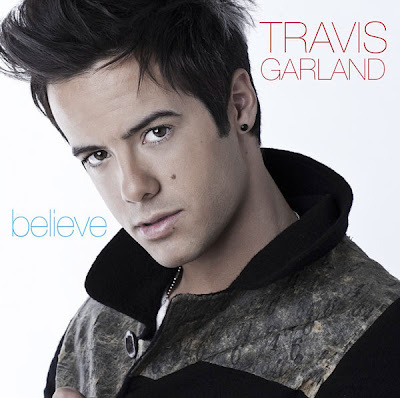 New artist Travis Garland released his debut single, the Danja-produced "Believe" this week. Touted as the latest "Perez Hilton-protege," Hilton used his pull with American Idol-producer Simon Fuller to get Garland a performance spot on the second to last episode of American Idol this season. Wow. I got to hand it to Perez, who knew he had that much influence in the music industry? While I still (mostly) despise Hilton, especially after he basically drove one of my FAVORITE artists, Sia into retirement, (Sia, by the way has recently gone on record to clarify those 'retirement' statements) he clearly has the attention of the music big wigs over on Idol. While Hilton's "better than Justin Timberlake" comment was a bit of an overstatement, I have to admit I was pleasantly surprised by the young singer's overall performance and voice. While Hilton may have "re-discovered" the singer, I don't like how he's taking credit for finding the artist. 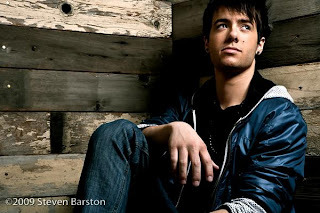 Garland was part of a short-lived boy band called NLT (Not Like Them), the same group that gave Glee's Artie Abrams (Kevin McHale) got his singing start. Chris Stokes of TUG Entertainment discovered the band and signed them to his label, which would have distributed their un-released debut album through Geffen/Interscope Records. Not sure what happened, but after releasing four singles and working with the likes of Timbaland and Ryan Tedder, the album's release was ultimately scrapped. At any rate, definitely check out Garland's performance on Idol when you can and download his debut single "Believe." His debut album is expected out via Interscope Records later this year. Thank God for David Guetta! Well...thank God for Kelly Rowland really. Her new David Guetta-produced floor filler called "Commander" was digitally released this week. 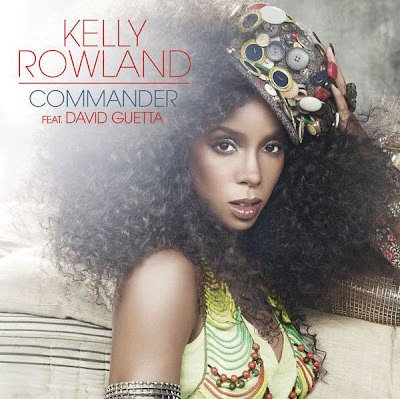 Marking Rowland's debut with Universal Motown Records, "Commander" is the first single off of her third, as-yet untitled album. It's also her first solo single to move in a decidedly NOT R&B direction. I guess she liked what she did with Guetta on "When Love Takes Over" and wanted to go in a dance floor direction. I, for one am all about it. The single entered the Billboard Hot Dance/Club Play Chart at #36, and I'm sure she'll climb to the top. I'm not ENTIRELY sure why I purchased this single. I guess Miley Cyrus music is one of my guilty pleasures. In my defense, "Can't Be Tamed" is one of her most non-child-friendly pop songs to date. "Can't Be Tamed" is the title track and debut single off of Cyrus' new album, due out on June 22nd. I hope we get some remixes for this track. I'm all in favor of a raunchier version of Miley and let's be honest, anything is better than "The Climb." **UPDATE** We can expect remixes from the Wideboys. Good start. Can't wait to hear these!